Once you've entered the due dates for your courses, whether one at a time, adding multiple at a time or importing from your system, you may want to make it easy for a friend or a few friends to copy some of your classes and the due dates for those classes into their own myHomework account. 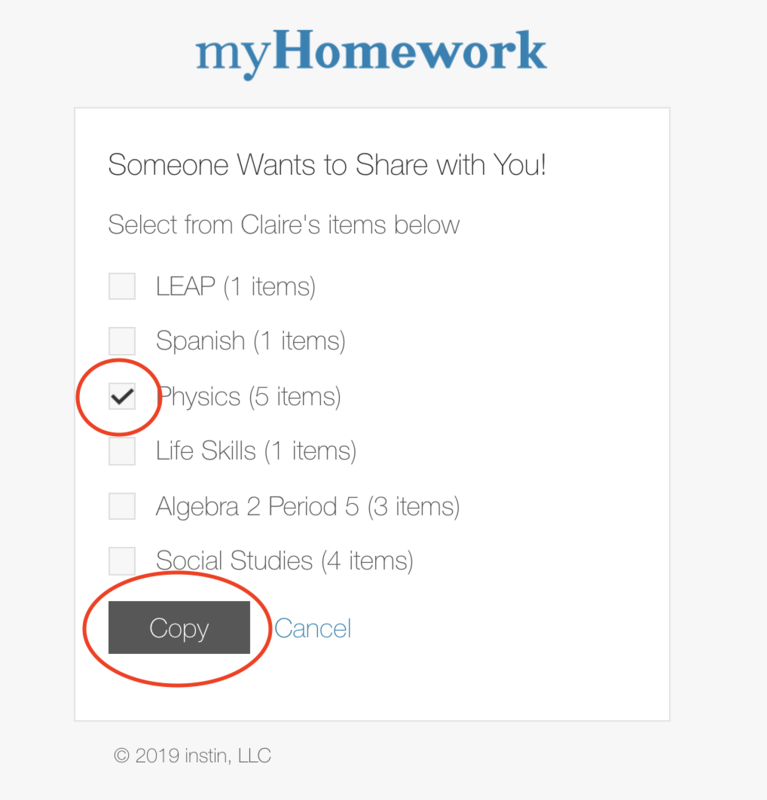 The steps below show how with your premium myHomework account, you can enable the option to share your homework with others. To let someone else copy your class and their homework, there are two steps for you to do: 1.) Enable homework sharing. 2.) Send your classmate a link. 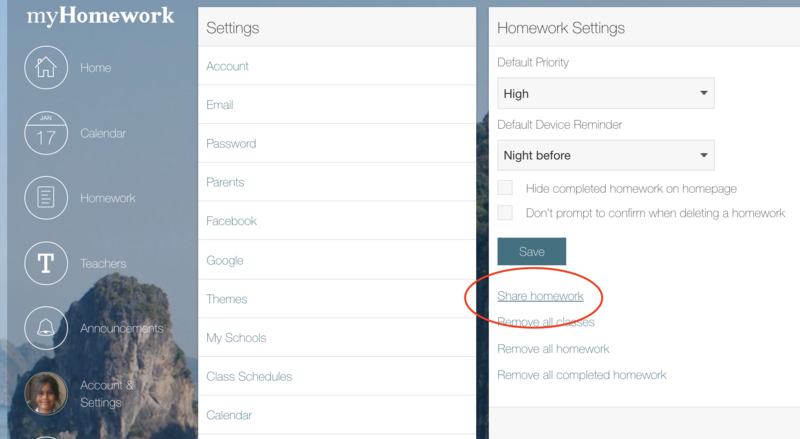 From Homework settings, go to the Share Homework settings and enable sharing. Copy the link after enabling sharing so that you can share it with your classmates via email, facebook or however you want. First login to your existing account or sign up for a new myHomework account. Then, access the link provided to you and choose which classes you would like to copy into your account. Study Groups: Each student can enter the homework for a class and then the sharing links can be passed around the group. Classroom Support: A teacher, teaching assitant, student or professor can create an account and offer the sharing link as way to make it easy for students to get their planner setup quickly. Help a Friend: If you share a lot of classes with a friend that struggles a little, sharing with them can get them started.